Moasis, a meditation space recently opened in Blanchard, features soft lighting, yoga mats, soft seating and other amenities to encourage mindfulness. 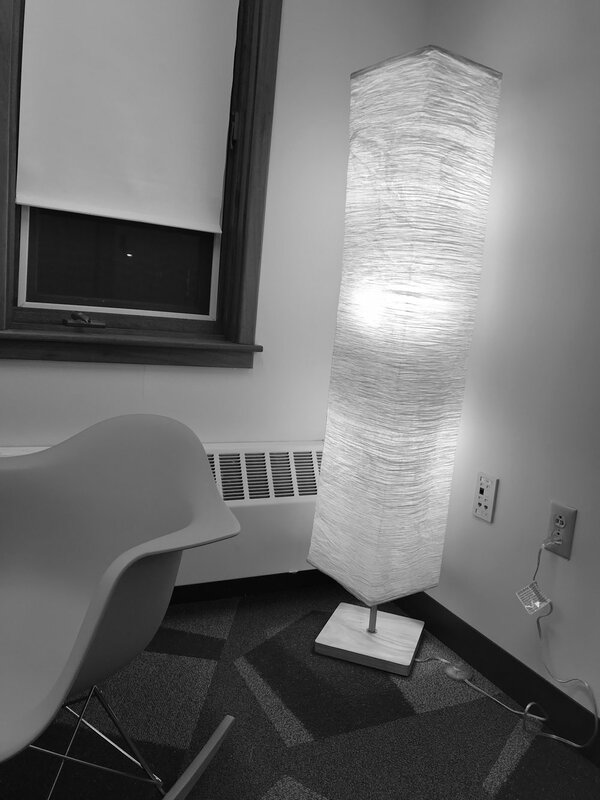 A new “Moasis” meditation room has opened for students in Blanchard 313, featuring meditation cushions, calming lamp light, bolsters, a yoga mat and a wall-sized image of a forest. The space offers information on apps students can use and times for drop-in meditation and Yoga Nidra. The space is now welcoming feedback, which students can place in a designated box inside the room.